Inventive And Unique Ways To Use The iPad In The Classroom | GUI Tricks - In Touch With Tomorrow! Inventive And Unique Ways To Use The iPad In The Classroom - GUI Tricks - In Touch With Tomorrow! Technology has changed the behavior of every single field of life. No doubt, it has provided the best ways which have provided ease in performing the tasks sufficiently. In past days where technology was not much spread all over people were bound to perform individually task which takes much time to get completed. Now a single person can perform multiple tasks with complete efficiency in a less time. Most of the countries have adopted the use of technology in every field of life. They actually have learned the benefits of using it. There are different types of gadgets we can look around us. From manufacturing a car to manufacturing a needle everywhere you will see the part of technology which is helping out the gadgets to complete the tasks efficiently. In different educational institutes, it has become a common practice to use an iPad on the premises. They actually have planned to promote the use and benefits of technology in their youth respectively. The best and remarkable innovation of this era is an iPad which is efficiently not only serving the educational field but all the fields respectively. In many schools kindergarten, kids use to teach with the help of an iPad. Teachers believe that iPad is the best visual source to teach the students with relevant things and it is also best is explaining the examples. Furthermore, we will discuss some most important aspects regarding the usage of an iPad in the classroom respectively. Whiteboard was commonly used in the classroom to specify the things. It was also a good option to elaborate the things according to their examples to students. Now the trend has become changed and digitalized with respect to time. IPad has replaced the whiteboard impressively by providing the best examples on the screen to every individual. By getting the whole iPad into one single link they can easily discuss the basic theme of the relevant topic. This could be the best way to create a 3D image of the related items which is the basic part of your topic. It is quite impossible to create a 3D image on the whiteboard with a marker. Just select the targeted image which you want to discuss and share it in the connected network or connect the iPad with the screen through Apple TV you will get the finest 3D result to consult the relevant object in a better way. Quiz segment is the best way to judge student’s capability and their interest in the studies. There are different apps you will get on the App Store where you can share the quiz segment with students to judge their level of interest. Electronically conduct the segment with the authentic result on a quick basis. There are some extra features also available related to quiz segment which will be like games respectively. IPad is the best source to share the assignment with the group by making an online group. In which only selected students can get the access which would be the part of the relevant subject. It was quite difficult to share the assignments among students at the same time. Now it has become very much easy to create an individual account of the student by assigning a login id it can easily get and submit the assigned task at a specific time. No doubt, you will probably get the best battery life of an iPad if you are using it for a specific purpose. IPad can easily use up to 8 hours sufficiently. It is much better than the laptops; it was also very much common to use the laptops in the classrooms. Now iPad has also replaced the laptop from the classroom due to its reliable speed and easy approach towards different applications. There is a lot more different option you will actually get from the use of an iPad while presenting on a relevant topic. It is very much light in weight and very friendly in use respectively. It can easily get connected with the big screens through Apple TV and you can define the complete story according to your style. There are thousands of educational apps are available on App store which is very useful and informative for students. You may also select the topic according to the requirement of the subject and it will also allow you to define deeply the complete specification of the relevant image through your iPad. Furthermore, you may also rotate the image through the screen on your desired angle respectively. By using different apps you may also create the best effects in your assignments. If you have to create any video with respect to explain anything you may create different effects in it by using the apps. With the help of an iPad, you can enjoy the music through your iPad. It will also allow you to browse different things which could be interesting and knowledgeable for you and you may utilize them in your studies respectively. This could be the best gadget to pass your spare time by entertaining you with online videos, songs, games and many more. After discussing following points finally, we have the clear view of using benefits of an iPad in the classroom. Though technology and specifically iPad is a costly device, iPad rental option would suit most of the institutes as lowers the cost of using tech in education manifold. As we all know technology has spread all over the world rapidly and it has produced the best effects on learning and understanding the things in a better way. 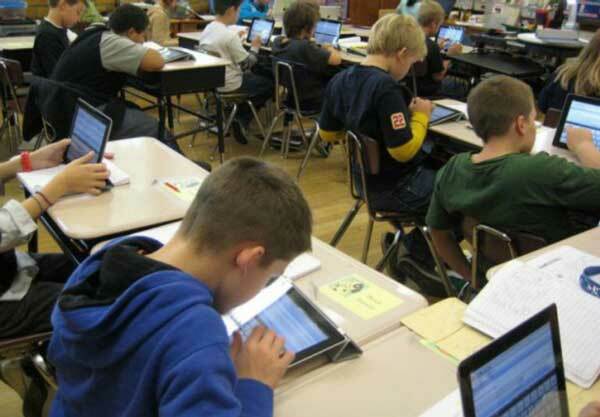 Almost every country has adopted the trend of using the iPad in the classroom to groom the personality of their students. They actually want to get familiar their students with the technology. 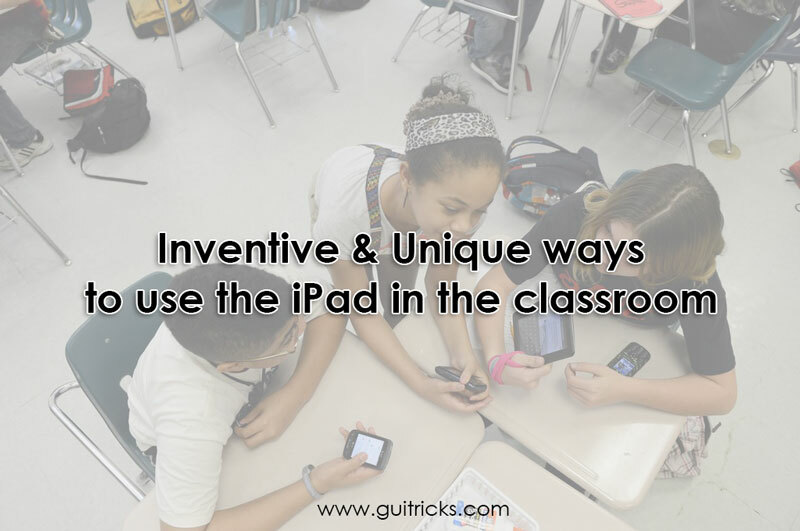 They have the best idea regarding the benefits of using the modern gadgets in their classroom. Callie Smith is Chief Marketing Manager at Tablet Hire UK, a top iPad rental company in the UK that helps organizations leave unforgettable event impression on event attendees. Callie smith is the head of marketing as well as event planning division of the company. Her passion for event technology is still the same after transforming hundreds of them for the corporate world. In addition, she also loves to write about professional event planning and how technology can play its part for better attendee experience.